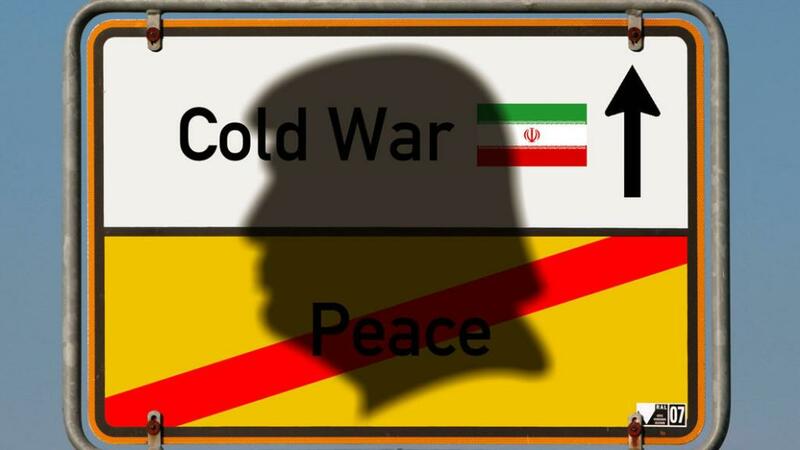 On May 12, US President Donald Trump will have to decide whether the nuclear treaty with Iran remains in force. The agreement on the Joint Comprehensive Plan of Action (JCPOA) was signed in 2015 by six mediators - Russia, the United States, France, Britain, Germany and China - and the Islamic Republic of Iran. According to him, in exchange for the lifting of sanctions against him, Tehran renounces the nuclear program, allowing IAEA experts to its facilities. Trump calls on the Western countries to break the agreement on the pretext of Iran developing ballistic missiles and expanding Iran's influence in the Middle East. The European allies of the United States - France, Britain and Germany - are committed to preserving the nuclear agreement, although Berlin and Paris allowed the addition of the JCPOA with new items. The countries of the European Union are trying to discourage Trump from adventurous steps that endanger the multibillion-dollar investments of European TNCs in the Iranian oil and gas sector and infrastructure. In order to convince the defenders of the nuclear deal to get out of it even more, the head of the White House began to adopt more sophisticated methods. According to the British The Guardian, referring to its subsidiary newspaper The Observer, Trump hired a private Israeli intelligence agency to conduct "dirty campaigns." The goal is members of the administration of former President Barack Obama, who helped negotiate with Iran on a nuclear agreement. Former Foreign Minister Jack Straw notes that the task of Trump and Israeli Prime Minister Benjamin Netanyahu is not so much to discredit the agreement as to undermine the credibility of those who prepared it. According to The Guardian sources, Trump team members contacted Israeli agents a couple of days after the US president arrived in Tel Aviv on the first tour as head of state. In a document that the Observer acquainted, the investigators had to immerse themselves in the privacy and political career of Rhodes and Kala. It was necessary to identify personal relationships, links with pro-Iranian lobbyists and find out whether these people received political or personal benefits from concluding a deal with Iran. The case involved well-known Americans of Iranian origin and journalists from the New York Times, the MSNBC channel, the Atlantic think tank, the Vox site and the Israeli newspaper Haaretz, which contacted the members of the Obama administration. With their help, the bloodhounds were trying to find out whether Rhodes and Cal had violated the JCPOA protocols, sharing secret information about the agreement. They also tried to find out if Rhodes was among those who supported the initiative of the last Obama's national security adviser, Susan Rice, about disclosing the names of people from Trump's team who have become objects of observation of foreign citizens. Probably, the motive of this PR campaign against the previous administration lies not only in Trump's attempts to frustrate the treaty with Iran, but also in the domestic political situation in the United States. Being under pressure due to "ties with Russia" Trump needs to restore the lost credibility. Despite bombing in Syria and a breakthrough in Korea, the FBI investigation against the owner of the Oval Office continues, threatening him at any time with impeachment. The Guardian notes that this incident is not the first when Trump uses "dirty tricks". Currently, the FBI's special prosecutor, Robert Muller, is investigating possible attempts by Trump's closest associates to dig up dirt on Hillary Clinton during the 2016 election campaign. Trump and Netanyahu are going all the hard to convince the world community to return Iran to the sanctions regime. A week earlier, Netanyahu delivered a video presentation where he presented Israeli reconnaissance data, according to which Iran, in violation of the treaty, secretly develops nuclear weapons. Some European politicians, such as French President Emmanuel Macron, warn against a possible US war against Iran. If Trump breaks the deal, it will "open a Pandora's box, and there may be a war," warned Macron. Returning to the topic of internal pressure on Trump, one can not exclude the fact that, being on the brink of a precipice or impeachment, the US president will choose a war against Iran to save himself from Congress.